Looking for a six-speed manual on the 2008 Porsche Cayenne V-6? You'll probably need to order it; they're very rare on dealer lots. The Cayenne isn’t as well-rounded of a package as some of its rivals, but the Porsche name has a lot of draw on its own. 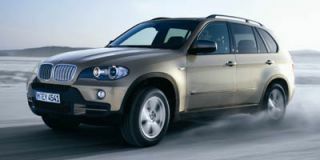 The auto experts at TheCarConnection.com consulted with a number of review sources while putting together this comprehensive review covering the 2008 Porsche Cayenne. And to better serve shoppers who might be considering the Cayenne, TheCarConnection.com's editors have driven it and added their expert opinion and impressions. The Cayenne is Porsche's only SUV model, and it's now Porsche's best-selling vehicle in the North American market. For 2008, the base Cayenne model gets a revamped direct-injection version of its V-6 that makes 290 horsepower--43 hp more than last year's engine. The six-cylinder 2008 Porsche Cayenne is still by no means fast. It can reach 60 mph in around 8 seconds with the automatic, which still places it behind many minivans; but it has much-improved passing ability, whether with the standard six-speed manual transmission or the more popular choice, a six-speed automatic with Tiptronic steering-wheel shifting. Both V-8s also get power improvements for 2008; a 4.8-liter V-8 in the middle 2008 Porsche Cayenne S model makes 385 horsepower, and the Turbo S model's twin-turbocharged 4.8-liter V-8 makes 500 horsepower and an equally impressive 516 pound-feet of torque. The top Turbo S can accelerate to 60 mph in just 4.9 seconds. With either of the V-8 engines, the 2008 Porsche Cayenne feels much friskier and can take advantage of an exceedingly well-tuned chassis. The Cayenne has very crisp steering response, even if it's a bit artificial-feeling, and it takes long sweeping corners with incredible poise and solidity. Only when you take a particularly tight, sharp corner do you remember that it's a vehicle with a curb weight approaching 5,000 pounds. Despite the impressive handling ability, the ride in the 2008 Porsche Cayenne is quite absorbent, albeit firm. Front seating is spacious, with sturdy, well-proportioned seats that have especially good back support and promote a nice, upright driving position. The instrument panel is styled much like those in Porsche's sportscars, which is to say that drab, dark plastics dominate. Many will appreciate its simplicity, though; it completely avoids both the clutter of other luxury SUVs and confusing solutions like iDrive. The Cayenne is only adequate in backseat space, there's no third-row seat, and cargo space in back is disappointing, due to the high lift to load items and the downward sloping roofline. For 2008, the Cayenne gets a slightly different look, with new front and rear styling, including more contoured taillamps, with LED versions to distinguish the turbo. All 2008 Porsche models retain the recognizable smooth Porsche snout and lower air dam in front and prominent dual exhausts in back. The Cayenne's suspension is tuned for the road, but it does offer off-road capability. That's especially brought out in an optional system in the 2008 Porsche Cayenne called Porsche Dynamic Chassis Control (PDDC), which uses hydraulic pressure to quickly firm up the stabilizer bars when needed, but it essentially detaches them when not needed for better ride comfort or off-roading. It can ford up to 19 inches of water and has adequate ground clearance for most trail driving. The full-time all-wheel-drive system sends 62 percent of the power to the rear wheels in normal driving but can send up to 100 percent to either the front or back wheels when needed. Another option in the 2008 Porsche Cayenne is the Porsche Active Suspension Management (PASM), which quickly adjusts suspension firmness specific needs, and includes settings ranging from Comfort to Sport. There are plenty of luxury features and appointments available, though the bottom-line price really adds up. Examples that spice up the interior of the 2008 Porsche Cayenne are upgraded interior trim ($3,170), wood trim ($1,385), heated seats and steering wheel ($560), a DVD-based navigation system ($3,070) with "breadcrumb" mode to prevent you from getting lost off-road, and a 350-watt Bose surround sound system with 14 speakers ($1,665). There's also an available Panorama Roof, which brings four glass panels (three of which slide open) that extend over the front- and backseats. The 2008 Porsche Cayenne has not been crash-tested, but it comes with plenty of safety measures, including front-seat side airbags, and side curtain airbags that cover front and rear outward occupants. New Dynamic Curve Lights, which help illuminate into corners, are standard on the Turbo and optional on other models. Despite a redesign for 2008, the Porsche Cayenne is still largely similar to previous models, for better and for worse. The 2008 Porsche Cayenne gets a slightly different look, with new front and rear styling, including more contoured taillamps, with LED versions to distinguish the turbo. All 2008 Porsche models retain the recognizable smooth Porsche snout and lower air dam in front and prominent dual exhausts in back. The exterior of the 2008 Porsche Cayenne is subtly different from past models, but reviews read by TheCarConnection.com approve of the restyle. The exterior changes on the Porsche Cayenne include headlights that "are flatter, and the leading edge in front of the hood is more defined than before," according to Cars.com. 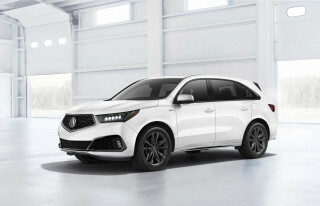 The Detroit News says "the subtle changes create a more sophisticated look," thanks to the fact that "the turn signal indicators have been removed from the headlight assembly and lowered onto the grille." Kelley Blue Book reviewers note that the redesign serves a "functional sense" as well as a styling one, since the new features bring "an aerodynamic benefit" as "the coefficient of drag has been lowered substantially offering potential fuel economy benefits." The interior of the Porsche 2008 Cayenne isn't received quite as well as the exterior. For the Porsche Cayenne, ForbesAutos writes that "the Cayenne's interior is identical to the outgoing model's, which is somewhat of a disappointment" because "there are some minor annoyances that could significantly improve" the cabin. Edmunds reviewers say that the Porsche Cayenne's "interior is all Porsche," which, unfortunately, "means that the climate and audio controls are comprised of many small, look-alike buttons that take some getting used to." On the positive side, ForbesAutos is pleased to find that "Porsche stayed away from any form of multifunction knob-controlled system as seen on virtually every new luxury vehicle from foreign manufacturers," such as BMW's iDrive. Also winning praise are the "large, simple toggles for climate, suspension, [and] transfer-case settings," which ConsumerGuide appreciates. One negative review comes from Motor Trend, where reviewers feel that the interior of the 2008 Porsche Cayenne is "somber," though such strong negative sentiment is rare. The 2008 Porsche Cayenne handles like a dream, but stay away from the manual transmission. Performance is the 2008 Porsche Cayenne's reason for being, since it certainly isn't the most practical, comfortable, or luxurious SUV on the market. In terms of overall performance, the Porsche Cayenne exhibits some marked strengths and few major weaknesses. The 2008 Porsche Cayenne lineup offers four engines: one V-6 and three V-8s. Edmunds notes that the base Porsche 2008 Cayenne features "a 3.6-liter V6 that makes 290 hp and 273 lb-ft of torque," while "the Cayenne S packs a 4.8-liter V8 with 385 hp and 369 lb-ft of torque," and the Cayenne GTS has the same engine, but it "produces 405 hp." Edmunds also writes that the Porsche Cayenne Turbo "has a twin-turbocharged version of the V8 that makes a mighty 500 hp and 516 lb-ft of torque." 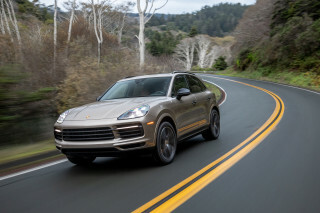 While many reviews read by TheCarConnection.com show that the engine choices are impressive, Automobile feels that "the engine doesn't outshine the chassis" on the Porsche Cayenne, and they say that after a while "boredom sets in." Other reviewers are more impressed by the engines, and Car and Driver is pleasantly surprised to find that, on the 2008 Porsche Cayenne Turbo, "the 0-to-60-mph run takes 4.8 seconds." Even on the base Cayenne, The Detroit News determines that it "can hit 60 mph in 7.5 seconds starting from a stop," which is impressive for a vehicle that weighs more than 5,000 pounds. Although many reviewers approve of the engines on the Porsche 2008 Cayenne, the manual transmission is another story. Motor Trend is particularly scathing in their review, writing "the six-speed is notchy and rubbery, with long throws and an indeterminate gate, characteristics far from helpful in ensuring smooth progress." Car and Driver adds "it's a lifeless stick that feels even more out of place because the parking brake isn't on the center console." Fortunately, Edmunds points out that only the base Porsche Cayenne and the 2008 Porsche Cayenne GTS are available with the manual, while the Porsche Cayenne S and Cayenne Turbo "have a six-speed Tiptronic S automatic transmission," which is optional on the base and GTS. Edmunds adds that the Porsche Cayenne in every trim is "all-wheel drive." Fuel economy on the 2008 Porsche Cayenne is dismal, as one would expect from a heavy, high-performance SUV. While Cars.com notes "gas mileage is projected to be 8 to 15 percent better than before," the EPA ratings are still quite low. The official EPA estimates for the 2008 Porsche Cayenne are that it will return 14 mpg city and 20 mpg highway with the base V-6, while the GTS offers 13/18 mpg with the automatic transmission and 11/17 mpg with the manual. The Porsche Cayenne S gets an EPA-estimated 13 mpg city and 19 mpg highway, while the Turbo offers 12/19 mpg. One area where many reviewers praise the Porsche Cayenne is for its overall handling. Reviewers unanimously recommend the "optional active Porsche Dynamic Chassis Control," which Kelley Blue Book says "offers advantages in counteracting body roll." The Detroit News writes that when the PDDC system is on, "the body roll typically found in heavy, tall vehicles is gone." Car and Driver reviewers remark "the adjustable air suspension is very flexible, offering both a terrific, supple, well-controlled ride in the comfort setting and a fair amount of precision in the sport setting." 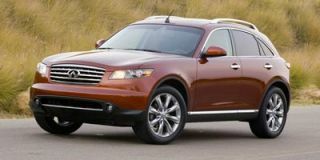 In terms of steering feel, Automobile considers it "light and responsive," and Motor Trend contends that it is "less corrupted than in other all-wheel-drive SUVs." Kelley Blue Book is even impressed by the Porsche Cayenne's off-road capabilities, and they claim that the "Cayenne is a superior off-highway performer, making quick work of imposing grades." Edmunds adds that the "brakes are strong and linear." A few too many plastic surfaces and lack of overall cargo room bring the 2008 Porsche Cayenne down here. The comfort and quality category is a mixed bag on the 2008 Porsche Cayenne. While some materials are excellent, as is total fit and finish, overall usability and certain comfort aspects are decried in reviews read by TheCarConnection.com. The 2008 Porsche Cayenne features a "five-seat interior," according to Cars.com, and most reviewers appreciate the comfort and space offered by the front two seats. Up front, ConsumerGuide finds that the Porsche Cayenne features "ample head room," along with "generous seat travel" and "excellent lateral support, though seat bottoms may pinch some physiques." ForbesAutos adds that the Porsche Cayenne's rear seats feature "lots of room for outboard passengers," while ConsumerGuide mentions that there is "good leg" and "toe space" for rear passengers. 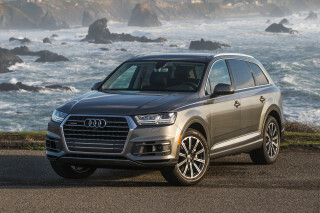 However, ConsumerGuide points out that the rear seats are "too firm for some testers," and "passengers need to twist ankles to clear door frames on exit." Edmunds is more critical, grumbling "rear-seat comfort is mediocre." For a mid-size SUV, the Porsche 2008 Cayenne isn't particularly practical in terms of overall space. Once again, Edmunds has harsh words for the 2008 Porsche Cayenne, claiming "cargo capacity, at 62.5 cubic feet, is on the small side for a midsize luxury SUV." That 62.5-cubic-feet figure is the maximum overall cargo capacity with the rear seats folded, but Kelley Blue Book says that "with rear seats up, the Cayenne accommodates a substantial 19 cubic feet of cargo." This rear cargo space is "good," according to ConsumerGuide, but "not expansive for an SUV." 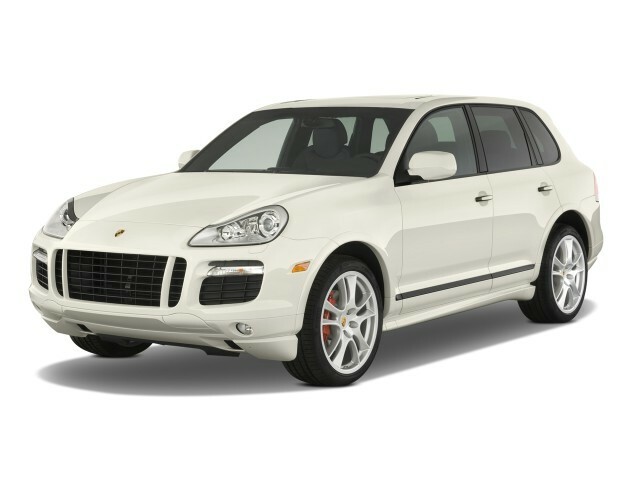 ConsumerGuide also mentions that the Porsche 2008 Cayenne has "adequate cabin storage." Interior materials on the Porsche Cayenne are a mix of hard plastics and soft leather. ConsumerGuide says that the cabin materials are "classy, but not opulent for this price level," and though Edmunds crows "materials quality is superb," other reviewers disagreed. Notably, Motor Trend laments the "cramped, somber, and plasticky interior." However, Kelley Blue Book gives the 2008 Porsche Cayenne high marks for having leather that "decorates the steering wheel rim, door handles, grab handles and other areas where many luxury models use simulated coverings." Aside from the materials, construction and build quality is superb, and Edmunds says that "fit and finish, especially with the optional wood or metallic accent packages, is excellent." Also earning high praise on the 2008 Porsche Cayenne is the SUV's noise reduction capability. In their tests, ConsumerGuide finds that the Porsche Cayenne exhibits "little wind rush below 70 mph" and emits an "appropriate exhaust growl." 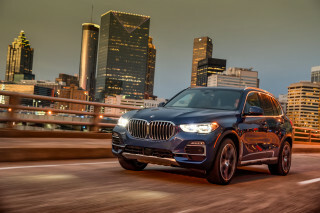 The Detroit News also reports that the Porsche Cayenne is capable of going over 160 mph, and "even at those speeds, the cabin is quiet enough to hear the gasps from the back seat." The 2008 Porsche Cayenne has airbags aplenty and offers excellent visibility. Those interested in the latest crash-test ratings for the 2008 Porsche Cayenne will be disappointed to learn that neither the National Highway Traffic Safety Administration (NHTSA) nor the Insurance Institute for Highway Safety (IIHS) has tested the Porsche Cayenne, most likely due to the prohibitive costs associated with wrecking an SUV that can cost more than $100,000. Aside from the lack of crash-test data, reviews read by TheCarConnection.com show that the 2008 Porsche Cayenne impresses with its safety features and commanding visibility. The 2008 Porsche Cayenne comes standard with a wide array of safety features. Edmunds reviewers report "antilock disc brakes are standard" on all Porsche 2008 Cayenne models, "as are front-seat side airbags and full-length side curtain airbags." To that list, Cars.com adds "an electronic stability system" comes standard on each and every Porsche Cayenne. Kelley Blue Book notes that "Porsche Stability Management (PSM)" is standard; it "guards against rollover and increases the effectiveness of the brakes on loose and slippery surfaces." The only difference in standard safety features among the trim levels is that the Porsche Cayenne Turbo gets a "front- and rear-obstacle-detection system," according to ConsumerGuide. From the driver's seat of the Porsche 2008 Cayenne, ForbesAutos reviewers are pleased to find "a high seating position with a commanding view of the road." 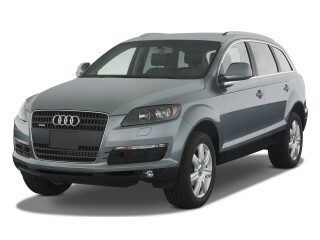 Other reviews read by TheCarConnection.com similarly laud the visibility afforded by the Porsche Cayenne. As mentioned earlier, an obstacle detection system is standard on the Turbo and available on the other trims to aid overall visibility and driver awareness, and ConsumerGuide mentions that it can include a "rearview camera," though this feature "requires [the] navigation system." Desirable, but pricey, options abound on the 2008 Porsche Cayenne. The 2008 Porsche Cayenne comes with a lengthy options list that, befitting the Porsche badge on the front, includes many pricey additions for the Porsche Cayenne. However, even those who choose not to add anything to the standard features on their Porsche Cayenne should be pleased with the impressive included features. The standard features on the 2008 Porsche Cayenne vary slightly across the trim levels, but Edmunds finds that all Porsche 2008 Cayennes include "automatic climate control, a 12-speaker CD audio system, foglamps, full power accessories," and "leather seating, a trip computer and a power liftgate." ConsumerGuide adds that the Porsche Cayenne GTS includes a "power tilt/telescopic steering wheel" as a standard feature, while the Porsche 2008 Cayenne Turbo also picks up a "navigation system, heated steering wheel, leather upholster, heated front and rear seats," and a "Bose sound system." While the standard features are generally well received in reviews read by TheCarConnection.com, ForbesAutos raises a few complaints, most notably that "the steering-wheel stereo controls still 'seek' up and down through radio stations rather than scrolling through presets," and "the heated steering wheel is connected directly to the heated seat control," which "doesn't let you crank the heat on the wheel when only your fingers are cold while keeping the seat temperature less toasty." They acknowledge "these sound like minor quibbles, but on a vehicle this expensive, everything should be thoroughly thought out." Aside from the standard features on the 2008 Porsche Cayenne, a long list of options is available for those looking to add a personalized touch to their Cayenne Porsche. For those buying a non-Turbo Porsche Cayenne, Edmunds writes that "many of the Turbo's features are available as options on the lesser trims," while "other options highlights include various wheels" and "a large four-section panoramic moonroof." ConsumerGuide also says that a "DVD entertainment system" and "extended navigation system," which "includes off-road navigation and reverse-route guide," are available on the 2008 Porsche Cayenne. Also making the options list on the 2008 Porsche Cayenne are "full leather upholstery," "satellite radio," and a "6-disc CD changer," according to ConsumerGuide. Going on four years with Porsche certified 2008 Cayenne. Like the performance, sport package, luxury and mileage on and off highway! Had a couple of hiccups caused by former lease owner abuses, but really... Going on four years with Porsche certified 2008 Cayenne. 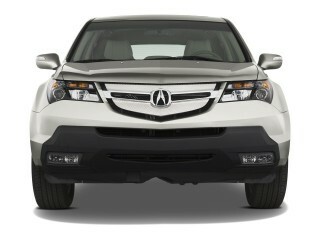 Like the performance, sport package, luxury and mileage on and off highway!